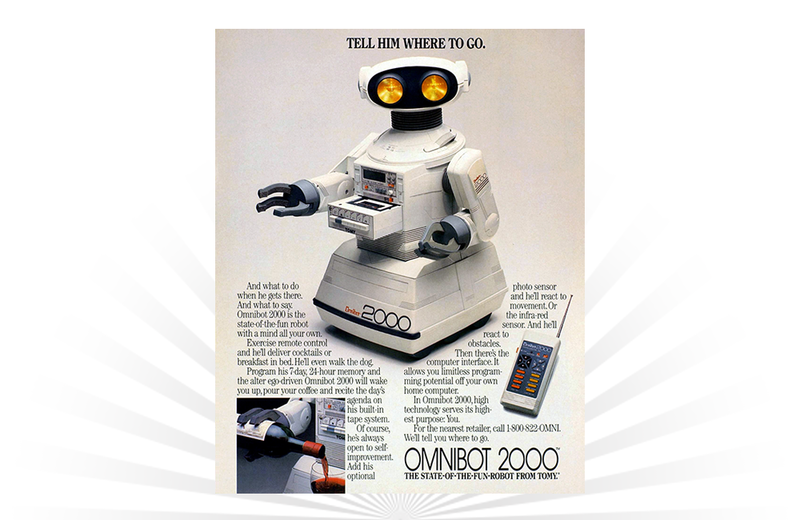 The Omnibot 2000 was the “state-of-the-fun” toy robot produced by TOMY in the 1980s. It had a built-in digital clock and slide-out cassette player built into its chest that could play standard audio cassettes. A remote control, included with the toy, was used to program his right arm and control movement.